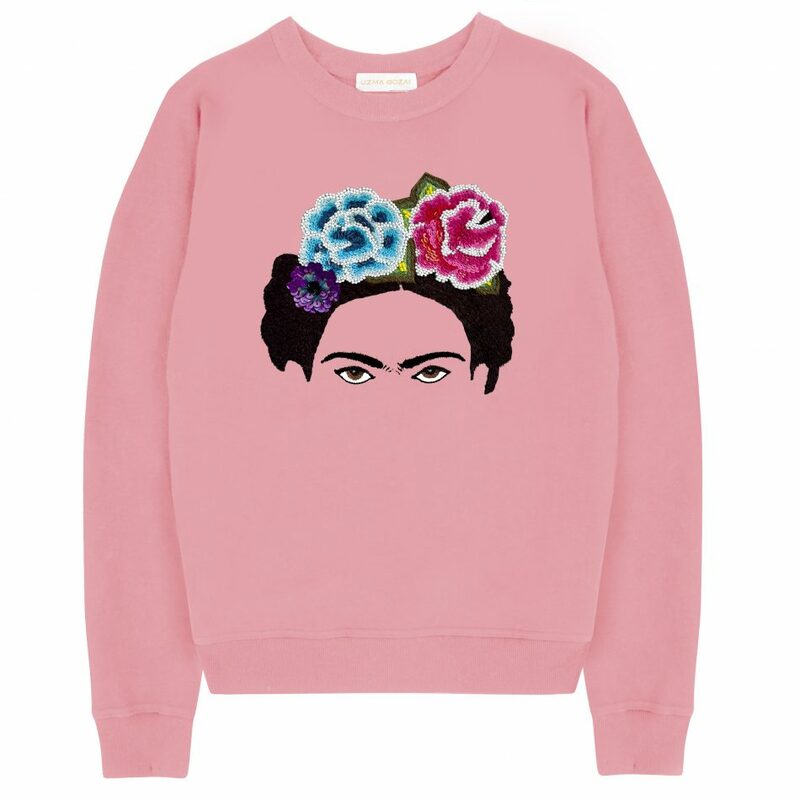 With a focus on Frida Kahlo’s life, work and style, the hand embellished Frida sweatshirt is the hero piece from the new collection. 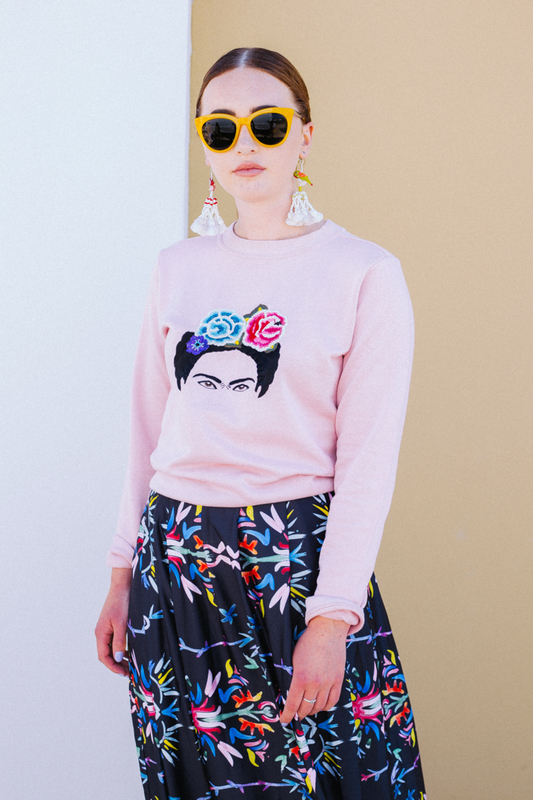 This sweatshirt has been hand embroidered and embellished and depicts Frida Kahlo’s iconic monobrow. 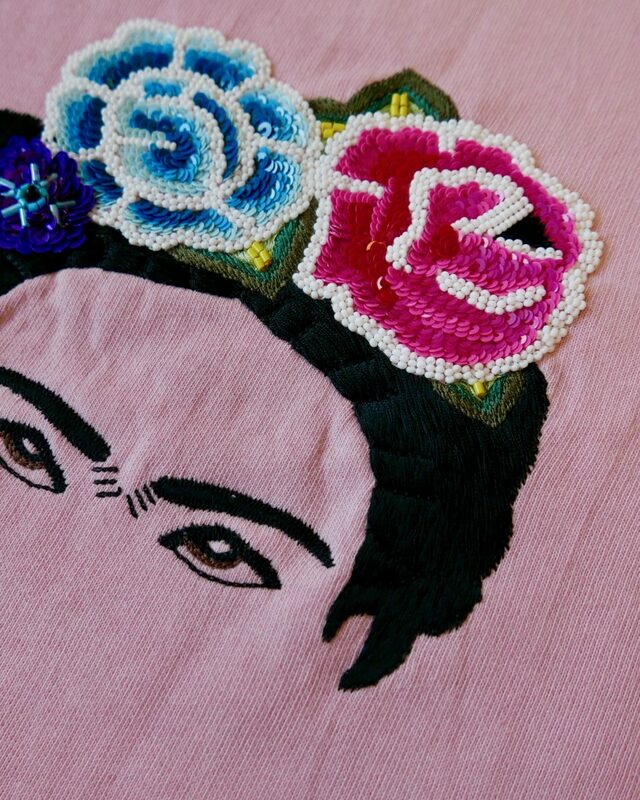 Nine different types of beads are layered with threadwork leaves to create her striking floral hairpiece. Wear yours with relaxed jeans and a straw bag this summer. 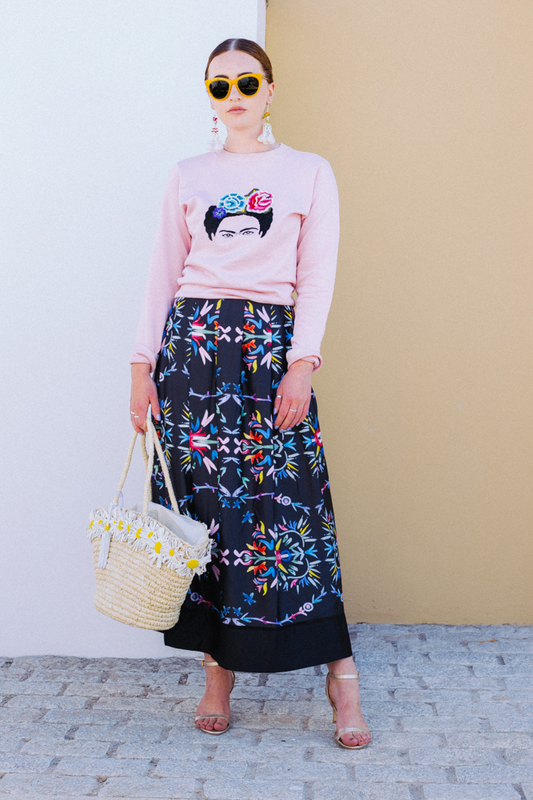 Please note – we would advise that you should be careful when wearing this style with any jewellery which may pull threads in the embroidery.